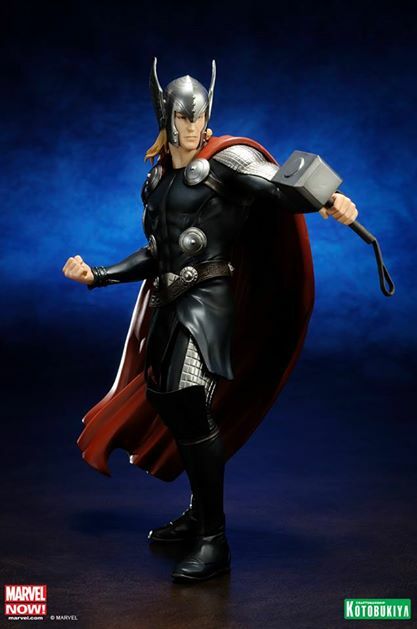 Thor joins the rest of his fellow Avengers in the Avengers Now ARTFX+ series, based on the artwork of Adi Granov. This statue is 1/10 scale, and includes magnets in Thor's feet that provide additional stability when placed on the included base. Collect all of the AVENGERS NOW! ARTFX+ Statues and assemble Earth's Mightiest Heroes for your display! Thor is available October 2014.